Have you used the blue-green, nutrient dense algae called Spirulina? I hadn’t till recently. I had heard of it though but never really got around to using it. Recently Parry Wellness approached me to review their product – organic spirulina powder. An intensely dark, dense powder, it has a slight sea smell. I tasted plain powder and it has a slightly strong taste. Now isn’t the product a miracle food? It is also a delight for healthy eaters as it is very high in protein, having 60% protein which better red meat (27% protein) and soy (34% protein). It is easily digestible and in its organic form perfectly safe to use. 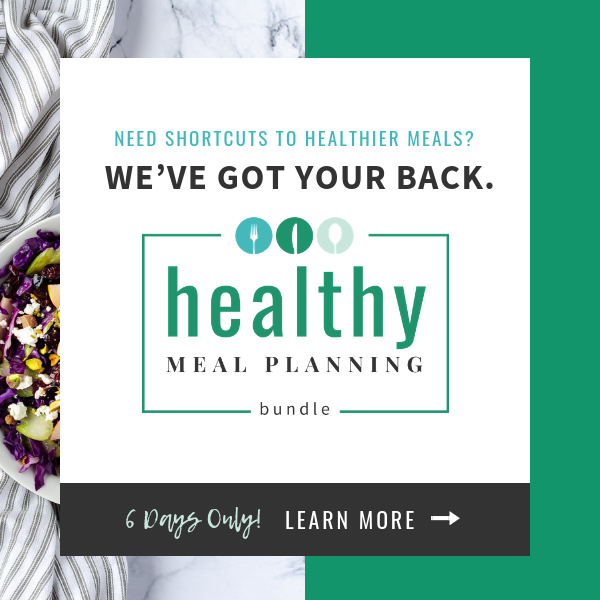 You may already find it as the super food lending its nutritional genius to your dark-green smoothies and health bars. It also has essential phytonutrients like Vitamin B12 (not found in any other vegetarian source), carotenoids, essential fatty acids, trace minerals and antioxidants which are great for overall health and immunity. I am actually aghast at its amazing properties. Just blend everything together and serve your high energy avocado milk shake with the goodness of spirulina which has a deep green colour. You can add icecubes if you so desire. 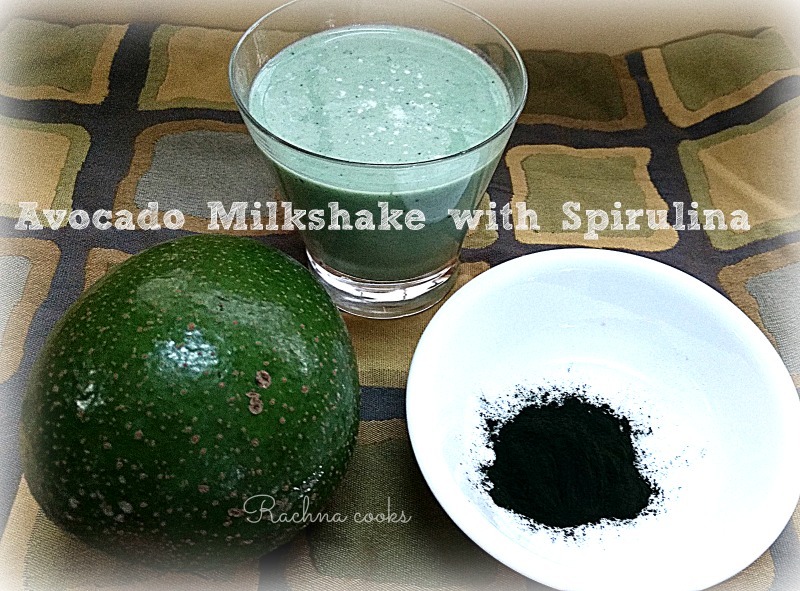 I could not really taste spirulina in the milkshake. Of late, I’ve been experimenting a bit with vegetable juices and beetroot, carrot, ginger and lime does taste quite good. The deep colour of beetroot overrides everything else that is mixed into it. To prepare this juice, just juice all the ingredients together. Add black salt and spirulina powder to the combined juice and stir well. Serve chilled. This makes about 2 tall glasses of juice. Again, I did not get any additional taste of spirulina. You can also make lemonade with spirulina by adding ¼ tsp. to a glass before serving it. It lends a dark green colour to the lemonade. 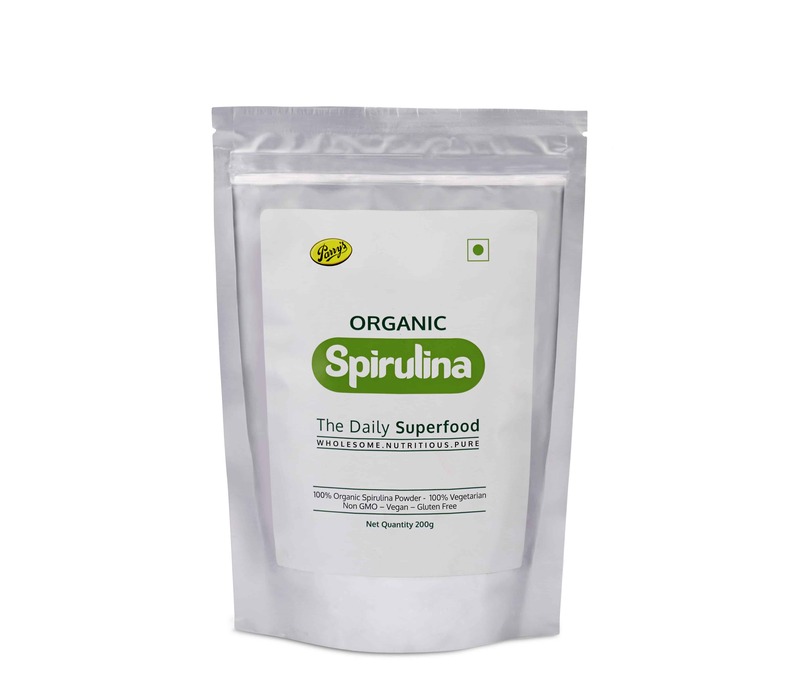 Only buy Spirulina from absolutely safe organic sources. Since it comes from the sea, it must be processed correctly to be free from any toxins. Do not use Spirulina in hot foods. Overall, my experiments with Parry’s Wellness Spirulina were good. The powder is dark green and dense and after opening the sachet, it must be stored in an air-tight jar. It is available both as tablets and in powder form. 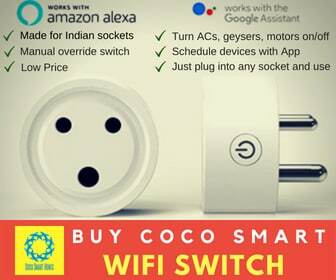 I am keen to try out this product in other ways in my kitchen. Since it helps with nasal allergies, I wish to give it regularly to my elder son and see if it helps. It being so high in protein, I am definitely going to add it to my smoothies post workout. Since it is a 100% vegan and organic product, it is digested easily by the body. You can buy Parry’s Wellness Spirulina on Amazon. 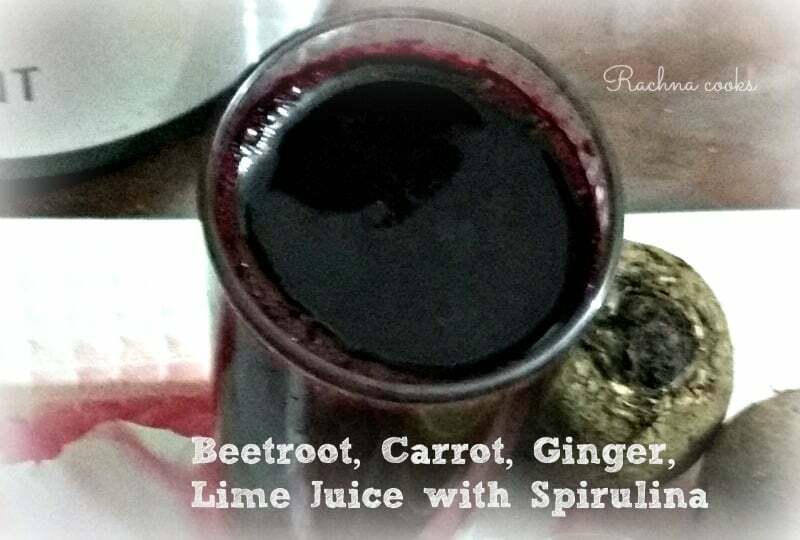 Have you used Spirulina before? Do share your experiences if any. Never heard about spirulina. Very interesting.